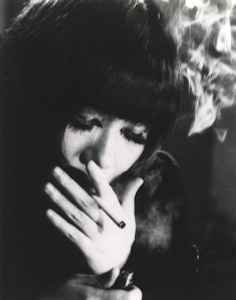 Japanese female jazz and blues singer, lyricist and composer. Born in January 27, 1942 in Ishikawa-ken. Died January 17, 2010 in Nagoya. Sang at US Army bases in Japan before appearing in a series of concerts organized by underground playwright Shuji Terayama in 1968. Actually, she was scouted by the majors and they planned to make her an enka singer. (She was signed the same year as Mina Aoe, but her sessions weren't released. The connection with Terayama Shuji is accurate, but not the notion that he "discovered" her.